Dating these days is not for the faint at heart and there really is no set in stone rules to follow when it comes to dating. Just when you think you that you have all the answers, life will inevitably throw you a curveball and unless you are prepared you might not know how to handle it. This is especially true when it comes to dating a man who is also a single dad. Just like a single mom, a man is responsible for everything that happens with their child or children and you have to be prepared for a whole lot of issues that you may or may not be ready to handle. When a man becomes a dad there truly is a monumental shift in their life which leads to a number of major changes. It will normally change how they deal with most situations that come up, especially if it will directly or indirectly affect their kids. 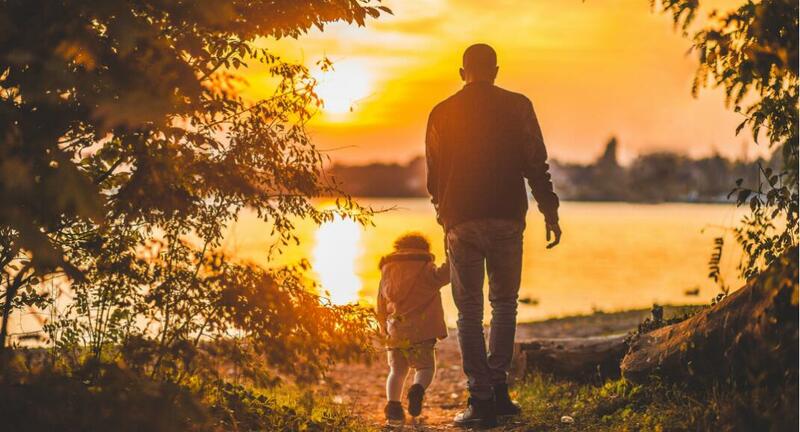 So, if you are considering getting involved with a man who is also a single dad or if you just found out that the man you just started dating is a single dad, here are 5 Things you should know about dating a single dad. #1 Having multiple kids will definitely affect your new relationship - The family dynamic that you are about to be part of is very fluid and if there is more than one child you will need to understand that it could easily put extra strain on you and your new relationship. The age of the kids will add a degree difficulty as well. Going in with your eyes wide open is going to be your saving grace and accepting certain circumstances will go a long way. #2 Kids come in two types; angels or brats - Kids can be a challenge to a brand new relationship and being able to deal with whether your new man's kids are angels or brats will pretty much determine how long your relationship will last. Being prepared to handle a possibly difficult situation if it turns out that his kids are bratty. #3 He might parent differently than you - According to dating experts, one issue that has contributed to the majority of failed dating relationships involving single dads is differences in parenting styles. If you are considering getting involved with a single dad you need to know that you have to check your parenting styles at the door and understand that they are his kids and until the time comes that he is open to your advice, you will need to tread lightly. #4 His time will be split between his kids and you - Know from the outset that his kids will come first and your time with your new man will be a fluid situation at best. Don't put any unreasonable expectation on his time, you will likely come out on the losing end of that proposition. Be open and understanding to the fact that you are going to be sharing time with his kids. #5 The ex may still be a part of the equation - First and foremost unless there was a death that caused him to be a single dad there is a high degree of likelihood that there could be some degree of involvement with an ex. You need to be sure that you know what you are getting into when there is an ex-involved.